← Slimturbovital – the new slimming product that helps celebrities lose weight. Does it really work? 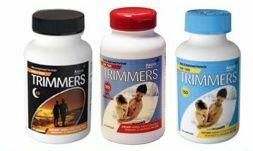 Kaloss Trimmers are slimming pills that claim to help you to lose weight and feel and look great. They are not just talking about improving waist lines. This product claims it will also improve the condition of hair, skin and nails! It is marketed by a division of Kaloss international, which is in turn a division of Crystals Limited, based near to Edinburgh. There are three products in the range; Kaloss Trimmers Day Time, Night Time and Phase 2 Xtra Carbohydrate Blocker. For the purpose of this review we are going to concentrate on the Day Time product. The official website mentions four main ingredients: Magnesium, Vitamin E, Zinc and Chromium. Other review websites list additional herbal ingredients, but it is unclear where this information came from. There is no picture of the ingredient label, nor are any additional ingredients discussed on the product website. Magnesium is a mineral that is used by athletes to increase energy, and for many other conditions, but it has not been scientifically proven to an effective energy booster. Chromium is an essential trace element that may also aid in treating type-2 diabetes. Its use for weight loss, fat burning or obesity control is not scientifically supported at this time. Vitamin E is a fat-soluble vitamin and anti-oxidant that has many uses, and is used to help improve the condition of skin, hair and nails. Zinc is an essential trace element that is used to boost the immune system and for increased athletic performance and strength. In this formula, the Zinc is supposed to help with skin, hair and nail condition but more research needs to be done in this area. None on the website, not even half-hearted and unconvincing generic user ratings. This is concerning because it shows that not only do the customers not have anything good to say about it, but the company itself can’t be bothered to fabricate false publicity. Chromium can cause reactions in people with leather contact allergies. It can also cause side effects for diabetes patients, and liver and kidney damage. It may also worsen behavioural and psychological conditions. It interacts with the medications Insulin, and Synthroid and with over the counter pain killers like Motrin and Aspirin. Magnesium is safe in daily doses of less than 350 mg, but it does interact with numerous medications including antibiotics, muscle relaxants and diuretics. People with heart block or kidney problems should avoid magnesium. Vitamin E should not be taken in amounts exceeding 15mg per day. Additionally, it interacts with several medications including anticoagulants, Niacin, anti-cancer medications and more. Zinc is safe in doses of 40 mg per day or less. It also interacts with several medications including some antibiotics, cancer drugs, Penicillamine taken for Wilson’s disease or rheumatoid arthritis, and a diuretic. This product may contain additional ingredients that are not discussed on the website. Consumers are strongly advised to read the product label carefully before use. People with allergies or sensitivities to any of the listed ingredients should not take this product. People taking medication or otherwise being treated for medical conditions, should always consult their healthcare professional before starting any dietary supplement. Pregnant or nursing women should not take this product. Short answer: No. This product presents a troubling lack of information on the official website. Other websites provide reviews that contain information that doesn’t appear on the official website. Extra vigilant consumers may be able to track down sources for these additional details, but who is realistically going to do so? In any case, the burden of proof should be on the company, and in this instance Kaloss fails. They fail to provide clear ingredient amounts, fail to provide scientific evidence of the efficacy of listed ingredients, and fail to provide instructions on dosage. Sure the bottle contains 180 pills, but if the does is 6 pills per day this is only a 30 day supply. Furthermore there is no information on how long are users expected to take this product, how long it takes to see results and if there are any warnings for use. Going by just the ingredients listed, and the manufacturer claims for improved all around health – not just weight loss- consumers are hard pressed to differentiate this product from a simple vitamin and mineral supplement. It claims to be a thermogenic – fat burning – product, but gives no evidence to support that claim outside of a passing reference to the magnesium. Availability is not restricted, it can be purchased in several online stockists including Amazon and Ebay (although we would not recommended buying a supplement via Amazon or Ebay. There is no route to market via the high street – Boots, Holland and Barrett and Tesco for example. 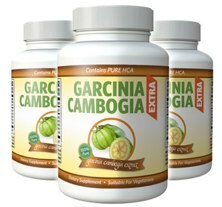 Garcinia Cambogia is a natural fat burner than can also help to prevent the creation and formation of new fat cells. It can also suppress appetite. There is no need for a separate day time of night time product. Garcinia Extra is a premier brand that contain the recommended daily dosage of Garcinia Cambogia – it also contains Raspberry Ketone.